We hope you will find us friendly, professional and knowledgeable. At Castle Ring Oak Frame we are willing and able to guide your project through from concept to reality. We are lucky enough to work from home at Castle Ring in a new purpose built douglas fir timber framed workshop complete with impressive king post trusses, lifting gantry, plentiful natural light, and powered by a solar PV electrical system. You are more than welcome to visit us (by appointment please, so we can tidy up beforehand!) 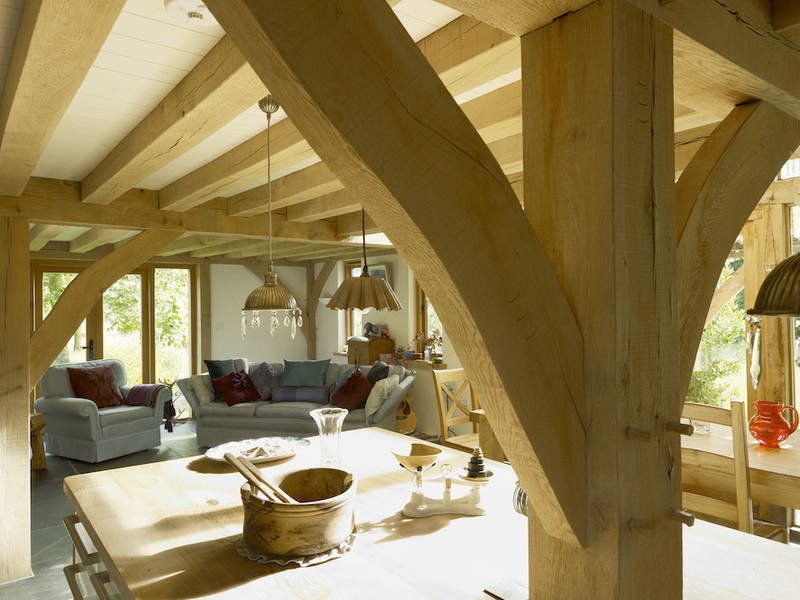 to take a look at our award winning oak and larch framed eco house. This will give you the chance to see the quality of our work, and to get a sense of our style and ethos. You may even get a cup of tea! Where we can, we are always happy to offer advice from design, materials and costing, through to insulation, glazing options, and external finishes.